David Wark Griffith (January 22, 1875 – July 23, 1948) was an American director, writer, and producer who pioneered modern cinematic techniques. He is remembered for The Birth of a Nation (1915) and Intolerance (1916). The Birth of a Nation made use of advanced camera and narrative techniques, and its popularity set the stage for the dominance of the feature-length film in the United States. The film has sparked significant controversy surrounding racism in the United States, focusing on its negative depiction of black people and the glorification of the Ku Klux Klan. Today, it is both acclaimed for its radical technique and condemned for its inherently racist philosophy. The film was subject to boycotts by the NAACP; screenings caused riots at several theaters and it was censored in many cities, including New York City. Intolerance was an answer to his critics. Several of Griffith's later films were also successful, including Broken Blossoms (1919), Way Down East (1920), and Orphans of the Storm (1921), but his high costs for production, promotion, and roadshow often made his ventures commercial failures. He made roughly 500 films by the time of his final feature The Struggle (1931). Griffith is one of the founders of the Academy of Motion Picture Arts and Sciences and among the most important figures in the history of film. He popularized the use of the close-up shot. Griffith was born on a farm in Oldham County, Kentucky, the son of Mary Perkins (née Oglesby) and Jacob Wark "Roaring Jake" Griffith a Confederate Army colonel in the American Civil War who was elected as a Kentucky state legislator. Griffith was raised a Methodist, and he attended a one-room schoolhouse where he was taught by his older sister Mattie. His father died when he was ten, and the family struggled with poverty. When Griffith was 14, his mother abandoned the farm and moved the family to Louisville, Kentucky, where she opened a boarding house. It failed shortly after. Griffith then left high school to help support the family, taking a job in a dry goods store and later in a bookstore. He began his creative career as an actor in touring companies. Meanwhile, he was learning how to become a playwright, but had little success—only one of his plays was accepted for a performance. He traveled to New York City in 1907 in an attempt to sell a script to Edison Studios producer Edwin Porter; Porter rejected the script but gave him an acting part in Rescued from an Eagle's Nest instead. He then decided to become an actor and appeared in many films as an extra. In 1908, Griffith accepted a role as a stage extra in Professional Jealousy for the American Mutoscope and Biograph Company, where he met cameraman Billy Bitzer, and his career in the film industry changed forever. In 1908, Biograph's main director Wallace McCutcheon, Sr. grew ill, and his son Wallace McCutcheon, Jr. took his place. McCutcheon, Jr. did not bring the studio success; Biograph co-founder Harry Marvin gave Griffith the position, and he made the short The Adventures of Dollie. He directed a total of 48 shorts for the company that year. 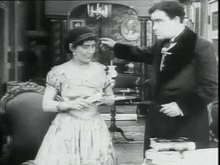 His short In Old California (1910) was the first film shot in Hollywood, California. Four years later, he produced and directed his first feature film Judith of Bethulia (1914), one of the earliest to be produced in the US. Biograph believed that longer features were not viable at that point. According to Lillian Gish, the company thought that "a movie that long would hurt [the audience's] eyes". Griffith left Biograph because of company resistance to his goals and his cost overruns on the film. He took his company of actors with him and joined the Mutual Film Corporation. There, he co-produced The Life of General Villa, a biographical action–drama film starring Pancho Villa as himself, shot on location in México during a civil war. He formed a studio with Majestic Studio manager Harry Aitken which became known as Reliance-Majestic Studios and was later renamed Fine Arts Studio. His new production company became an autonomous production unit partner in Triangle Film Corporation along with Thomas H. Ince and Keystone Studios' Mack Sennett. The Triangle Film Corporation was headed by Aitken, who was released from the Mutual Film Corporation, and his brother Roy. Birth of a Nation (1915), perhaps the most famous silent movie directed by Griffith and considered a landmark by film historians; adapted for the screen by Griffith and Frank E. Woods, based on the novel and play The Clansman: A Historical Romance of the Ku Klux Klan by Thomas Dixon, Jr.
Griffith directed and produced The Clansman through Reliance-Majestic Studios in 1915, which became known as The Birth of a Nation and is considered one of the first feature length American films. The film was a success, but it aroused much controversy due to its depiction of slavery, the Ku Klux Klan, and race relations in the American Civil War and the reconstruction era of the United States. It was based on Thomas Dixon, Jr.'s 1905 novel The Clansman; it depicts Southern slavery as benign, the enfranchisement of freedmen as a corrupt plot by the Republican party, and the Ku Klux Klan as a band of heroes restoring the rightful order. This view of the era was popular at the time and was endorsed for decades by historians of the Dunning School, although it met with strong criticism from the National Association for the Advancement of Colored People (NAACP) and other groups. The NAACP attempted to stop showings of the film. They were successful in some cities, but it was shown widely and became the most successful box office attraction of its time. It is considered among the first "blockbuster" motion pictures and broke all box office records that had been established until then. "They lost track of the money it made", Lillian Gish remarked in a Kevin Brownlow interview. Intolerance (1916), the second most famous silent movie directed by Griffith who co-wrote the screenplay with Frank E. Woods, Hettie Grey Baker, Tod Browning, Anita Loos, and Mary H. O'Connor. Audiences in some major northern cities rioted over the film's racial content, which was filled with action and violence. Griffith's indignation at efforts to censor or ban the film motivated him to produce Intolerance the following year, in which he portrayed the effects of intolerance in four different historical periods: the Fall of Babylon; the Crucifixion of Jesus; the events surrounding the St. Bartholomew's Day massacre (during religious persecution of French Huguenots); and a modern story. Intolerance was not a financial success, although it had good box office turn-outs; it did not bring in enough profits to cover the lavish road show that accompanied it. Griffith put a huge budget into the film's production which could not be recovered in its box office. He mostly financed Intolerance himself, contributing to his financial ruin for the rest of his life. Griffith's production partnership was dissolved in 1917 and he went to Artcraft, part of Paramount Pictures, and then to First National Pictures (1919–1920). At the same time, he founded United Artists together with Charlie Chaplin, Mary Pickford, and Douglas Fairbanks. He continued to make films, but he never achieved box office grosses as high as either The Birth of a Nation or Intolerance. Though United Artists survived as a company, Griffith's association with it was short-lived. While some of his later films did well at the box office, commercial success often eluded him. Griffith features from this period include Broken Blossoms (1919), Way Down East (1920), Orphans of the Storm (1921), Dream Street (1921), One Exciting Night (1922) and America (1924). Of these, the first three were successes at the box office. Griffith was forced to leave United Artists after Isn't Life Wonderful (1924) failed at the box office. United Artists founders, Griffith, Pickford, Chaplin, and Fairbanks sign their contract for the cameras (1919). He made a part-talkie, Lady of the Pavements (1929), and only two full-sound films, Abraham Lincoln (1930) and The Struggle (1931). Neither was successful, and after The Struggle he never made another film. In 1936, director Woody Van Dyke, who had worked as Griffith's apprentice on Intolerance, asked Griffith to help him shoot the famous earthquake sequence for San Francisco, but did not give him any film credit. Starring Clark Gable, Jeanette MacDonald and Spencer Tracy, it was the top-grossing film of the year. In 1939, the producer Hal Roach hired Griffith to produce Of Mice and Men (1939) and One Million B.C. (1940). He wrote to Griffith: "I need help from the production side to select the proper writers, cast, etc. and to help me generally in the supervision of these pictures." Although Griffith eventually disagreed with Roach over the production and parted, Roach later insisted that some of the scenes in the completed film were directed by Griffith. This would make the film the final production in which Griffith was actively involved. However, cast members' accounts recall Griffith directing only the screen tests and costume tests. When Roach advertised the film in late 1939 with Griffith listed as producer, Griffith asked that his name be removed. Although mostly forgotten by movie-goers of the time, Griffith was held in awe by many in the film industry. In the mid-1930s, he was given a special Oscar by the Academy of Motion Picture Arts and Sciences. In 1946, he made an impromptu visit to the film location of David O. Selznick's epic western Duel in the Sun, where some of his veteran actors, Lillian Gish, Lionel Barrymore and Harry Carey, were cast members. Gish and Barrymore found their old mentor's presence distracting and became self-conscious. While the two were filming their scenes, Griffith hid behind set scenery. On the morning of July 23, 1948, Griffith was discovered unconscious in the lobby at the Knickerbocker Hotel in Los Angeles, California, where he had been living alone. He died of a cerebral hemorrhage at 3:42 PM on the way to a Hollywood hospital. A large public service was held in his honor at the Hollywood Masonic Temple, but few stars came to pay their last respects. He is buried at Mount Tabor Methodist Church Graveyard in Centerfield, Kentucky. In 1950, The Directors Guild of America provided a stone and bronze monument for his gravesite. Performer and director Charlie Chaplin called Griffith "The Teacher of us All". Filmmakers such as Alfred Hitchcock, Lev Kuleshov, Jean Renoir, Cecil B. DeMille, King Vidor, Victor Fleming, Raoul Walsh, Carl Theodor Dreyer, Sergei Eisenstein, and Stanley Kubrick have spoken of the director. Griffith's Star on the Hollywood Walk of Fame at 6535 Hollywood Blvd. 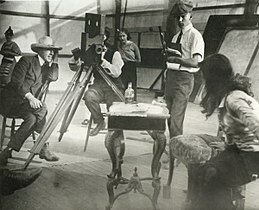 Griffith seems to have been the first to understand how certain film techniques could be used to create an expressive language; it gained popular recognition with the release of his The Birth of a Nation (1915). His early shorts—such as Biograph's The Musketeers of Pig Alley (1912), the first "gangster film"—show that Griffith's attention to camera placement and lighting heightened mood and tension. In making Intolerance, the director opened up new possibilities for the medium, creating a form that seems to owe more to music than to traditional narrative. In the 1951 Philco Television Playhouse episode "The Birth of the Movies", events from Griffith's film career were depicted. Griffith was played by John Newland. In 1953, the Directors Guild of America (DGA) instituted the D. W. Griffith Award, its highest honor. On December 15, 1999, DGA President Jack Shea and the DGA National Board announced that the award would be renamed as the "DGA Lifetime Achievement Award". They stated that, although Griffith was extremely talented, they felt his film The Birth of a Nation had "helped foster intolerable racial stereotypes", and that it was thus better not to have the top award in his name. In 1975, Griffith was honored on a ten-cent postage stamp by the United States. 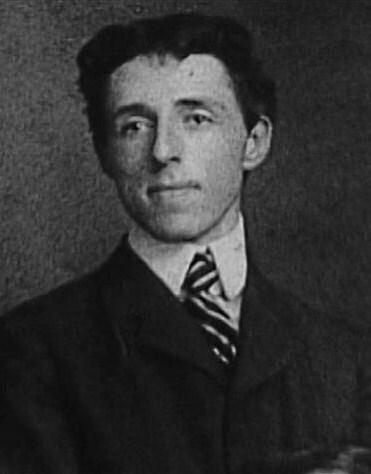 D.W. Griffith Middle School in Los Angeles is named after Griffith. Because of the association of Griffith and the racist nature of The Birth of a Nation, attempts have been made to rename the 100% minority-enrolled school. In 2008 the Hollywood Heritage Museum hosted a screening of Griffith's earliest films, to commemorate the centennial of his start in film. On January 22, 2009 the Oldham History Center in La Grange, Kentucky, opened a 15-seat theatre in Griffith's honor. The theatre features a library of available Griffith films. Griffith has five films preserved in the United States National Film Registry deemed as being "culturally, historically, or aesthetically significant." These are Lady Helen's Escapade (1909), A Corner in Wheat (1909), The Birth of a Nation (1915), Intolerance: Love's Struggle Throughout the Ages (1916), and Broken Blossoms (1919). ^ a b c "D.W. Griffith". Encyclopædia Britannica. Retrieved March 30, 2015. ^ a b c "David W. Griffith, Film Pioneer, Dies; Producer Of 'Birth Of Nation,' 'Intolerance' And 'America' Made Nearly 500 Pictures Set, Screen Standards Co-Founder Of United Artists Gave Mary Pickford And Fairbanks Their Starts". The New York Times. July 24, 1948. 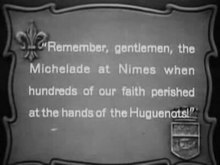 ^ "'The Birth of a Nation': When Hollywood Glorified the KKK | HistoryNet". HistoryNet. Retrieved February 27, 2016. ^ Brooks, Xan (July 29, 2013). "The Birth of a Nation: a gripping masterpiece … and a stain on history". The Guardian. ISSN 0261-3077. Retrieved February 27, 2016. ^ "D.W. Griffith". Senses of Cinema. Retrieved February 27, 2016. ^ "History of the Close Up in film". ^ "D. W. Griffith (1875-1948)". Retrieved December 3, 2016. ^ Blizek, William L. (2009). The Continuum Companion to Religion and Film. A&C Black. p. 126. ISBN 0-826-49991-0. ^ a b c "D. W. Griffith". Spartacus-Educational.com. Archived from the original on June 5, 2011. Retrieved February 27, 2019. ^ "American Experience | Mary Pickford". PBS. Retrieved June 5, 2011. ^ a b c "D.W. Griffith Biography". Starpulse.com. July 23, 1948. Retrieved June 5, 2011. ^ "Who's Who of Victorian Cinema". Victorian-cinema.net. Retrieved June 5, 2011. ^ Kirsner, Scott (2008). Inventing the movies : Hollywood's epic battle between innovation and the status quo, from Thomas Edison to Steve Jobs (1st ed.). [s.l. ]: CinemaTech Books. p. 13. ISBN 1438209991. ^ a b "D. W. Griffith: Hollywood Independent". Cobbles.com. June 26, 1917. Retrieved June 5, 2011. ^ "Fine Arts Studio". Employees.oxy.edu. June 9, 1917. Archived from the original on May 14, 2011. Retrieved June 5, 2011. ^ "The Rise and Fall of Jim Crow . Jim Crow Stories . The Birth of a Nation". PBS. March 21, 1915. Retrieved June 5, 2011. ^ ""Griffith's 20 Year Record", ''Variety'' (September 25, 1928), as edited by David Pierce for ''The Silent Film Bookshelf,'' on line". Cinemaweb.com. September 5, 1928. Archived from the original on July 12, 2011. Retrieved June 5, 2011. ^ "Intolerance Movie Review". Contactmusic.com. May 29, 2011. Retrieved June 5, 2011. ^ Georges Sadoul (1972 ). Dictionary of Films, P. Morris, ed. & trans., p. 158. University of California Press. ^ "American Masters . D.W. Griffith". PBS. December 29, 1998. Retrieved June 5, 2011. ^ "Last Dissolve". Time Magazine. August 2, 1948. Retrieved August 14, 2008. ^ "Biggest Box Office Hits of 1936". Ultimate movie rankings. Retrieved November 14, 2017. ^ Richard Lewis Ward, A History of the Hal Roach Studios, p. 109-110. Southern Illinois University, 2005. ISBN 0-8093-2637-X. In his Biograph days, Griffith had directed two films with prehistoric settings: Man's Genesis (1912) and Brute Force (1914). ^ Green, Paul (2011). Jennifer Jones: The Life and Films. McFarland. p. 69. ISBN 0-786-48583-3. ^ Schickel, Richard (1996). D.W. Griffith: An American Life. Hal Leonard Corporation. p. 31. ISBN 0-879-10080-X. ^ Leitch, Thomas; Poague, Leland (2011). A Companion to Alfred Hitchcock. John Wiley & Sons. p. 50. ISBN 1-444-39731-1. ^ "Landmarks of Early Soviet Film". Archived from the original on April 23, 2012. Retrieved October 18, 2012. ^ "Jean Renoir Biography". biography.yourdictionary.com. Retrieved October 18, 2012. ^ "Movie Review: Restored 'Intolerance' Launches Festival of Preservation". latimes.com. Retrieved October 18, 2012. ^ "Overview for King Vidor". tcm.com. Retrieved October 18, 2012. ^ "Victor Fleming: An American Movie Master". Archived from the original on September 14, 2013. Retrieved April 24, 2013. ^ Moss, Marilyn (2011). Raoul Walsh: The True Adventures of Hollywood's Legendary Director. University Press of Kentucky. pp. 181, 242. ISBN 0-813-13394-7. ^ "Matinee Classics - Carl Dreyer Biography & Filmography". matineeclassics.com. Archived from the original on December 15, 2013. Retrieved October 9, 2012. ^ "Sergei Eisenstein - Biography". leninimports.com. Retrieved October 9, 2012. ^ "Griffith Middle School: Home Page". Retrieved December 3, 2016. ^ "Petition calls for Griffith Middle School name change over racism – LA School Report". Retrieved December 3, 2016. ^ "Hollywood Heritage". Hollywood Heritage. Retrieved June 5, 2011. Smith, Matthew (April 2008). "American Valkyries: Richard Wagner, D. W. Griffith, and the Birth of Classical Cinema". Modernism/modernity. 15 (2): 221–42. Retrieved September 14, 2014. 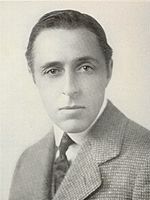 Drew, William M. "D.W. Griffith (1875–1948)". Retrieved July 31, 2007. Wikimedia Commons has media related to David Wark Griffith.